The Kyle Dennis biotech alerts service has been running successfully for a few months now and the future is looking very bright for Kyle. However, it was only a few years ago when Kyle Dennis was a broke Real Estate Acquisitions Analyst, fresh out of college. Meet Kyle Dennis trader extraordinaire! Before reading on, please check out my favorite tools and free swing trading course that I have used to make $50,000 trading stocks! 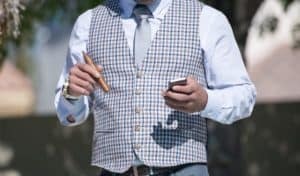 I highly recommend that you read my review of the free swing trading online course (worth $1000!) for more details on how to download the course for free and to see if the trading strategies and chart patterns would work for you. Check out this Kyle Dennis Masterclass for FREE ($1,000 Value!). So what happened? How did Kyle Dennis trader extraordinaire, turn $15k into $1.5Million trading penny stocks!? 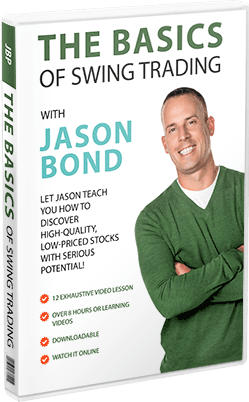 Kyle joined Jason Bond Picks in late 2013 by signing up for his free email newsletter and then paid for a full yearly subscription of swing trading alerts with Jason. Kyle rarely gives interviews but I found the video below on Youtube. Kyle Dennis has made huge profits in the stock market, here are his profits every year since 2013. Kyle Dennis joined Jason Bonds Millionaire Road Map (check out another success story with Millionaire Roadmap here). 5. $1 Million already realized in 2017! Kyle learned his trading strategy from Jason Bond, however he has specialized in Biotech stocks (Check out my review of Kyle Dennis Biotech Alerts HERE). Kyle uses a secret tool called BioPharmCatalyst to screen quickly for upcoming major catalysts for biotech companies. 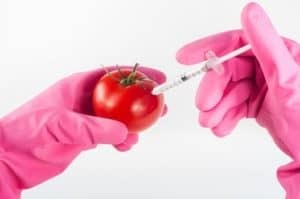 This tool is very valuable because you can imagine what happens to the price of a biotechnology company when it announces a new drug that could potentially make the small company billions of dollars in revenue! If you keep track of all the potential upcoming events and announcements, you can make sure you manage your position accordingly. Kyle Dennis uses these catalyst events that can move stock prices more than 100% to make small fortunes per trade! In order to manage the position most effectively you need to have the exact dates that the event will occur on. This knowledge of catalyst events is critical to success with the Kyle Dennis trading strategy. 1. Biotech Catalyst Swing Trading (short-term). 3. Biotech Nucleus (all-inclusive mentor service). I love the service because Kyle encourages and promotes educating his students to become independent traders – not simply rely on his alerts. This goes against all the trolls and haters out there who claim that Jason Bond and Kyle Dennis are just ‘front running’ the subscribers. I have never seen this as most of their alerts are swing trades not scalping day trades! The Kyle Dennis trading strategy relies on medium-term swing trades driven by catalyst events. This type of strategy does not lend itself to front-running. So Why Does Kyle Dennis Biotech Alerts Work? Kyle has a fantastic catalyst driven strategy – the biotech industry is known for making huge profits for investors. The main thing that makes it so profitable is the due diligence that Kyle does is world class. He works his tail off for his subscribers! He looks at EVERYTHING! Kyle analyzes the technical chart (all time frames), fundamentals, insider buy and sell, the company as a whole, shorting percentage and any potential stock splits etc. This is the secret to success with the Kyle Dennis trading strategy – dedication and diligence! If you are not sure if you want to pay for Kyle’s service, I recommend that you sign up for his free email updates that update you on what stocks he is watching and trading. You will get notified by email when he is running free educational video lessons, webinars or live Q&A sessions. Simply go HERE and put in your best email address when prompted. Kyle Dennis stocks tend to be high risk/high reward trades. This is important to realize if you join his stock picking service. Kyle Dennis stocks tend to do quite well, he has a high winning percentage. I estimate that about 60% – 70% of the stocks that Kyle buys are profitable. However, I have had a few Kyle Dennis stocks that have really been hit hard with bad news. One of the recent Kyle Dennis stocks that was a HUGE loser was $SELB. 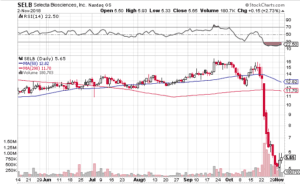 Kyle Alerted this stock in his Sniper Report Alerts service as a long-term buy and hold. We were up 10% – 20% on $SELB but they unexpectedly announced some bad data that caused the stock price to plummet 50%! You can see the devastating chart below… this is why you need to cut your losses quickly and realize that not all the stocks you buy will be winners. Kyle Dennis stocks – high risk and high reward. Summary – Kyle Dennis trading strategy. 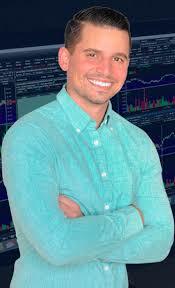 I love how Kyle Dennis trades biotech stocks – he is young (26) but very accomplished and a true millionaire trader. Please share this post with others on social media if you have had a good experience with the world-class Kyle Dennis trading strategy! Have You Tried Kyle Dennis Biotech Alerts?